I was given the chance to review the digital Balance Planner by Minte Studio. This is a PDF planner to organize your projects and plan your schedule. I want to start by saying that this planner is great for someone who has their own business, is in school, or just needs some organization in their day/month/year. 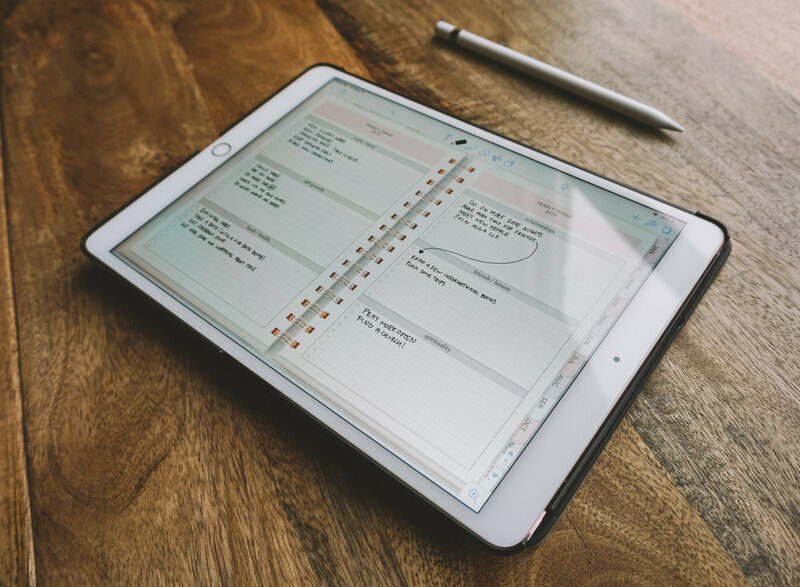 I use this planner on my iPad Pro so it is easy to write notes in my own handwriting and it helps with organizing my freelance projects. It has clickable tabs: there are quite a few pages (which is awesome!) so the tabs make it easy to get from page to page. It has extra pages: add your goals for the year/month, gratitude journal, reflection section, bucket list page, a username/password section, and more. Great design: I personally love the clean design of this planner and the variety of dotted/line notebook pages.